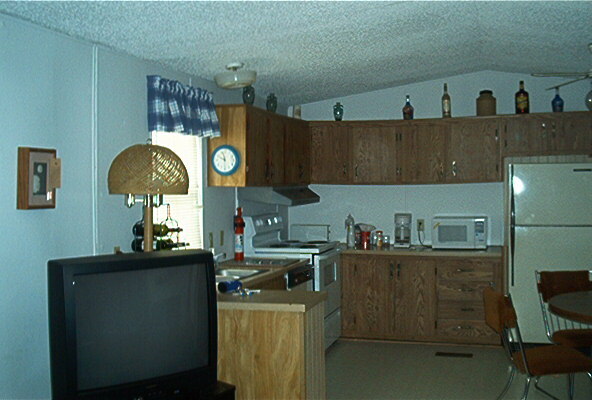 There is a fully equipped kitchen complete with all cookware and utensils, refrigerator, micowave and electric stove. There is a washer and dryer and television with satellite reception. 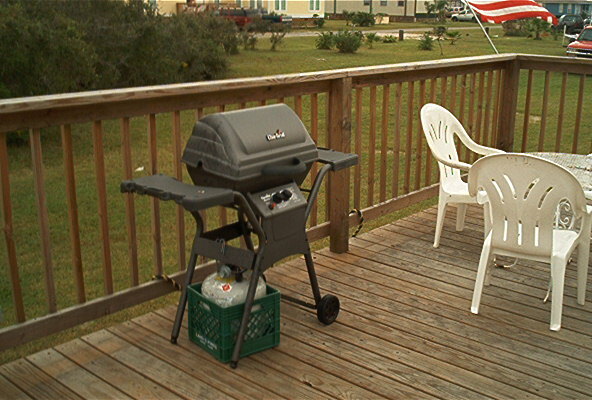 There is a gas grill on the deck as well as a barbeque area just off the deck. The house has three bedrooms with two full baths. 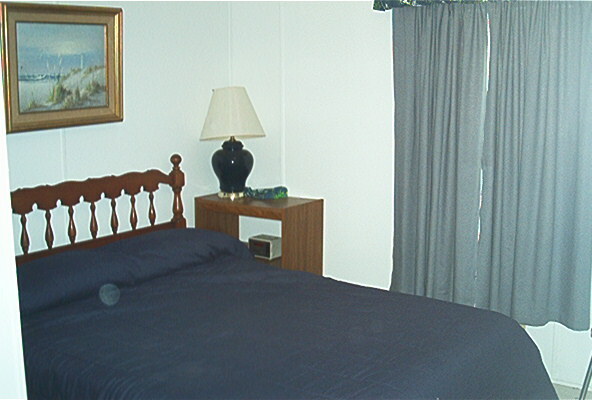 One bedroom has two queen-sized beds. One bedroom has a double bed. The third bedroom has 2 bunk beds. Towels and bedding are provided. 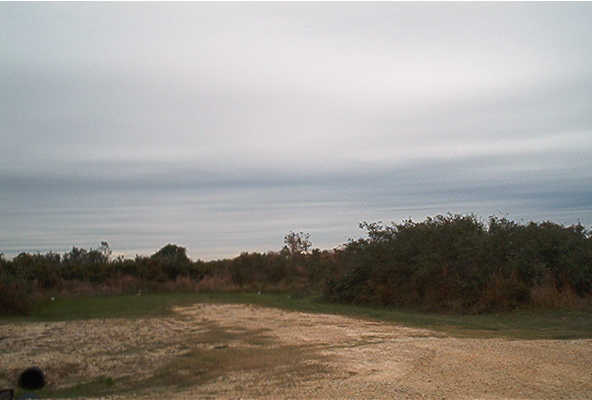 The deck overlooks a view of the Powderhorn ranch. Quail feed in the underbrush. There is a boat and motor clean up station in the front.